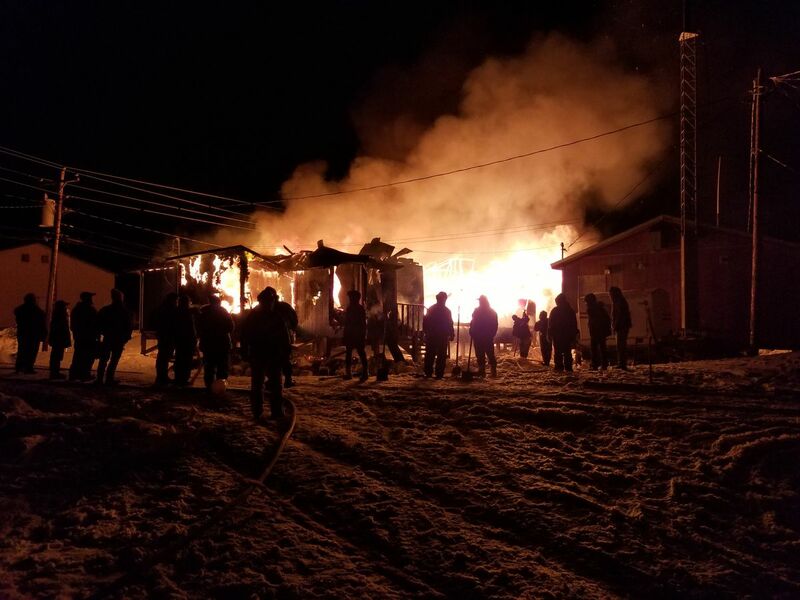 A fire that's being investigated as arson destroyed the community hall Monday in the Yukon-Kuskokwim Delta village of Kotlik. The hall at the center of the village for decades was reduced to "just iron debris" by early Monday morning, tribal administrator Pauline Okitkun said Tuesday. "It pretty much burned down." The building served a vital purpose in the community of about 650 people, Okitkun said. Children and elders participated in activities there. The hall was the village's bingo gaming center. It also hosted annual potlatches like the one that ended Sunday night — hours before the fire. The flames consumed drums, sticks and dance fans left in a storage room at one side of the otherwise big, open space, she said. "We lost a very valuable building." The building was owned by the city of Kotlik. Local officials are investigating the fire as a possible arson, according to KYUK, the Bethel-based radio station that originally reported the story. The State Fire Marshal's Office was responding to Kotlik to investigate on Tuesday. The fire was reported to Alaska State Troopers in Emmonak just before 5 a.m. Monday, according to a dispatch posted Tuesday. Another building — apparently an abandoned house — near the Kotlik AC Store was reported on fire just before 7 a.m., but that was extinguished immediately. Kotlik Tribal Council member Alvin Aketachunak heard the announcement the hall was on fire at 4 a.m. Monday on his VHF radio, KYUK reported. The community came out to fight the blaze, pumping water from the river after drilling a hole in the ice. 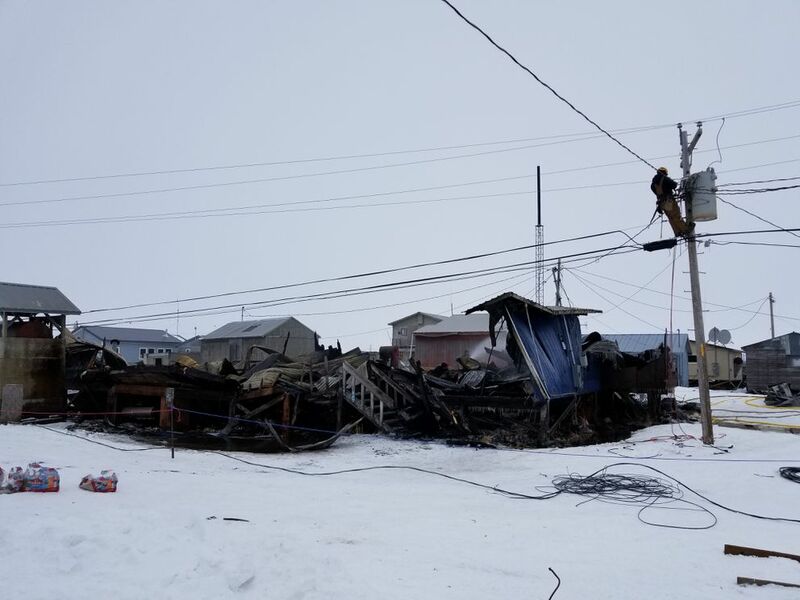 It was the second major fire in Kotlik from a suspected arsonist in two years, according to KYUK. In August 2016, the old school, a school shop, generator building, teacher housing and an office building burned down or were damaged. Okitkun said she couldn't comment on the particulars of why community members believe arson was involved in Monday's destructive blaze. Asked if the fire was connected to the potlatch, she said, "I hope not." Officials were examining temporary options for community events, including a National Guard building and the school, until they can come up with money for a new building. Kotlik is on the east bank of the Kotlik Slough, 35 miles northeast of Emmonak and 165 miles northwest of Bethel.